On an eCommerce store, there are many instances when a visitor is interested in a product, but not keen to purchase it at the moment. And, when that person leaves the page, it only contributes to abandoned cart and nothing else. Providing store visitors and customers an option to add their own wishlist to your store would be a better strategy to overcome this challenge. In fact, this reminds customers at a later time to come back to your store and complete the purchase. Similarly, as a store owner, you get a chance to understand customers’ interest in your specific products. WooCommerce, by default, doesn’t have an option to set a wishlist. However, you can make use of some of the good WooCommerce wishlist plugins to set this up. This article focuses on that, and also tries to give a better perspective on the importance of wishlist in eCommerce. The wishlist feature would improve the chances of customers and prospective buyers returning to your site. Here is a list of quality plugins that would help you set this function effectively on your WooCommerce store. This extension helps you offer the wishlist option to your customers. In fact, registered customers and guests on your store can create unlimited wishlists as they wish. Research has pointed out the potential of wishlists to increase returning visitors to your store. When users are creating their own wishlists, naturally they will be motivated to come back to your store. In addition, they will have the option to share these wishlists with their family and friends. That means they are potentially bringing in new users to your store. Your customers will be delighted to have the wishlist option on your store, which they can create on their own and share with friends and family. The extension is loaded with several distinctive features to help boost the conversions on your store. It allows guest customers to create their own wishlist, and save them for a minimum of 30 days. On the other hand, registered customers in your store can create an unlimited number of wishlists and save them indefinitely on your store. In addition, customers can make their wishlists public, private or selectively accessible according to their requirement. Moreover, social media sharing options enable customers and guests to share their wishlists with friends and family. One of the notable advantages of this plugin is that you can customize the look and feel of wishlist functionality. You can customize it extensively with personal messages, the appearance of buttons, and the color scheme. The sharing capabilities of the wishlists too are in the control of store owners. You can toggle it on or off as desired to allow customers to share their wishlists. Furthermore, if you have advanced coding or design knowledge, you can easily customize the appearance of the wishlist according to your liking. Otherwise, it will adopt the style of the active theme on your store. Also, the store owners get the option to view and edit wishlists from the WooCommerce admin section. 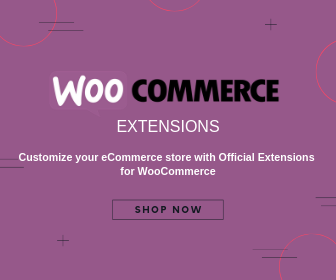 The WooCommerce Wishlists extension is compatible with other popular plugins like Gravity Forms Product Add-ons. 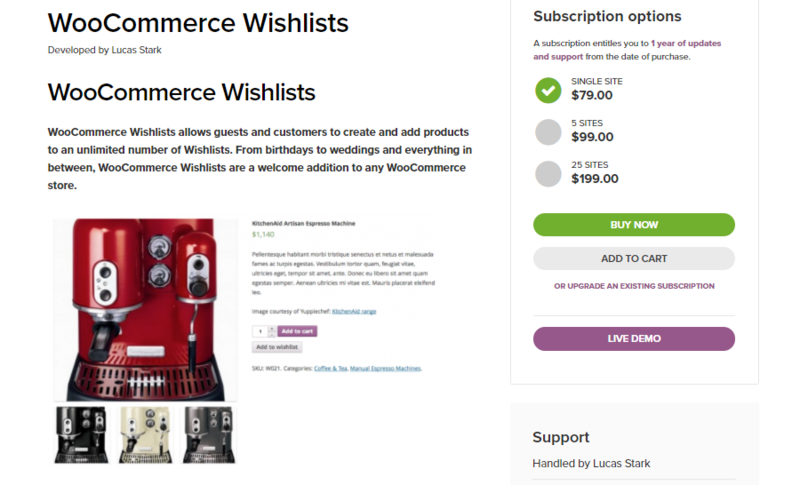 You can purchase a single site subscription of WooCommerce Wishlists for $79. The 5 site subscription is for $99, and the 25 site one is for $199. This plugin enables you to allow your customers to create wishlists in your store. As a result, you can expect better traffic from new as well as returning users to your store. Your customers will create wishlists and share them among their acquaintances in social media. As a result, traffic, sales, and conversions on your store naturally increase. Furthermore, you can create targeted campaigns based on the wishlists saved in your store. You will be able to understand which of your products are able to garner maximum attention. Such insights would help you with your overall marketing strategy as well. YITH wishlist plugin enables you to allow wishlists for users on your store, and derive useful marketing insights. Users can create as many wishlists as they want, based on different parameters such as categories. They will also have the choice to make the wishlists public or private according to their wish. Users will be able to view public wishlists of others to understand what visitors are generally interested in. There is also an option for the users to request you for a custom quote for all the products that are on their wishlist. And when they want to finally purchase the products that are on the wishlist, they can select individual ones or buy all at once. All this while, you can monitor the wishlist of your customers and derive valuable insights that would help you sell better. You can purchase the single site license of the plugin for $85. License for up to six sites is $129, and for 30 sites is $199. 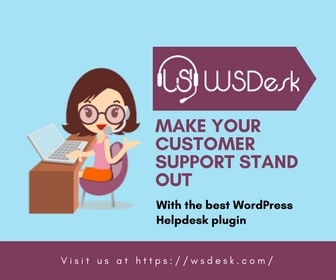 This plugin has integrated good marketing features to the wishlist option to help you increase sales on your WooCommerce store. There is a ‘follow’ option, which provides more clarity for users to understand when a product from a friend’s wishlist is fulfilled. The advanced options of this plugin also let you compare the popularity of your products with the actual sales. This would mean you get to evaluate your store’s marketing strategy in a more realistic perspective. With this plugin, your customers can create an unlimited number of wishlists as they please. And throughout, they will have full control over all the settings of the wishlist, including privacy options and moving products across lists. On the other hand, the plugin provides equally great control to store owners in designing the wishlist options. From the settings page, you can enable or disable multiple elements according to your strategy. The comprehensive analytics options will help you understand the purchase trends of certain products. For example, if a lot of users are interested in one product, but its sales are generally low, it might point you to a pricing issue. The plugin might prove to be really useful in such scenarios. There are multiple options to purchase this plugin. The price for a single site license for one year starts at $79. This is another simple plugin that will help your customers add products to a wishlist in your store. The products in the wishlist will have details such as price, image, title, etc. And, customers will have the option to add them to cart or remove from the list. In addition, it provides social sharing option to customers, which means better reach for your products. Furthermore, it ensures great options for store owners to control the feature from the admin side of the store. The regular license of the plugin is available for purchase at $20. Often eCommerce store owners are anxiously trying to understand what customers want. However, many a time the customer interest stays elusive to them, irrespective of advanced analytics options. In such a scenario, wishlists offer a great window into the world of customers and their interests. In fact, it helps businesses to nurture a strong connection with the customers. Knowing their interest levels on some of your products at a time would help you a lot in devising marketing strategies. Moreover, strong relationships with customers mean repeat purchases and more revenue on your store. You can read more about WooCommerce CRM here. Converting leads to sales is an arduous task for any online shop owner. Many times your store visitors won’t purchase a product, even though they appear interested in it. This can happen due to a variety of reasons. But when there is a wishlist option on your store, at least a considerable percentage of such customers would use it. And that will be your opportunity to conversion. The possibility of the customer forgetting all about that product is reduced when it is saved in a wishlist. Moreover, you get a chance to remind the customer about the product at a suitable time later. Wishlists also offer a better option to deal with products that are out of stock. It is a common occurrence in eCommerce that a customer comes to your store interested in a product, and that one is not in stock. Such opportunities need not be missed when you have the wishlist option. The customers can add the out of stock products they are interested in to the wishlist. When these products are back in stock, you can duly alert them about it. And it also helps you estimate the demand on certain products. Based on the demand estimates, you can devise your procurement strategies. A lot of times, customers do not purchase a product they are interested in because they don’t really agree with the pricing. And, you get a great opportunity to tap into this interest when the next promotional campaign goes live on your store. If some of the products that are in a customer’s wishlist are on sale, you get a chance to notify them about it. If the customer really didn’t purchase the product because the price was too high, then the sales drive is the best time to go for it. 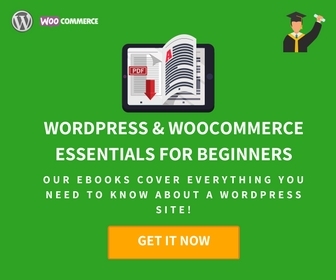 Meanwhile, if you want to understand more about different pricing strategies in WooCommerce, you can find one here. Another popular option that you can checkout is dynamic pricing. Gift purchases don’t happen just around the holiday season. Throughout the year people are purchasing gifts for birthdays, anniversaries and the like. The option to create and share wishlists have opened new scope for both customers and store owners. Most of the plugins that we discussed in this article, has the option to share the wishlists. If it is easily manageable, customers would share their wishlists more often with their loved ones. This encourages new visitors and consequently helps in increasing sales on your store. Another feature that is in the same context is the option to make wishlists public. A public wishlist has the potential to familiarize new customers to the products on your store. For example, a visitor who is looking for gifts on your store might get a good idea on the gifting options by looking at public wishlists. It really enhances how you use store analytics to measure the success of various marketing and sales campaigns on your store. Though it is a personal selection of a particular customer, when collectively put together, wishlists has the potential to give you great insights. Wishlists often help you understand where the interests of customers lie at a given moment. This would help you devise marketing strategies promptly. And if you are using specific pointers from the wishlist to target customers, you can easily understand the success of such efforts too. Furthermore, it helps you evaluate the sales strategy itself for some products. For example, a particular product might be largely featuring in wishlists, but you are not really able to capitalize that interest into sales. In such a scenario, you can do a thorough evaluation of your sales strategy versus consumer behavior. Are the customers waiting for a deal on the product, or is the price too high? You can find out the reason and take appropriate action. Wishlists are a great way to understand the aspirations and expectations of your customer. 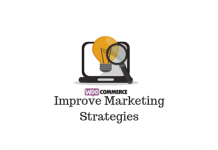 It enables you to come up with efficient marketing strategies with better targeting. And, your customers will find it as a handy tool to get themselves reminded of a product they are interested in. Furthermore, when customers are sharing their wishlists on social media, it helps to boost your traffic as well. WooCommerce community has quite a few good plugins that will help you set up wishlists on your store. This article has compiled some of the best WooCommerce wishlist plugins that you can install on your store. Hopefully, you also got a glimpse on the immense scope of wishlists to boost conversions. Let us know if you want to share an insight with us.